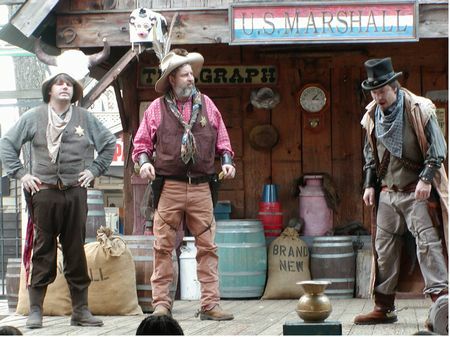 Wild West Comedy Gunfight Show is a live show in Lickskillet at Six Flags Over Georgia. It's worth seeing on a time-permitting basis. This has been a favorite among park guests for many seasons. Clever gimmicks and wisecracks keep the crowds laughing all day long. Performed in the middle of this section of the park on the Lickskillet Stage.